You need to apply—and reapply—sunscreen all over the body…to prevent skin damage. Exposure to the sun’s ultraviolet rays is just about the worst thing for your skin (besides smoking). The sun’s ultraviolet (UV) rays are essentially radiation that’s penetrating your skin, right down to the deeper layers. Not only can this mess with your DNA (your genetic mapping that determines how your cells should act)—which can trigger mutations and even skin cancer—it also depletes collagen and elastin in the skin. These are the skin-firming proteins that make skin look more youthful looking. (It’s when collagen and elastin get depleted that skin starts to sag and lose its youthful fullness.) The sun’s UV rays also cause hyperpigmentation (age spots and freckles), rough skin, fine lines and wrinkles, and more. While not going out in the skin ever is probably the best thing for your skin, it’s just about impossible to do that—particularly if you’ve got kids in swim lessons (outdoors) and in other various activities (like me) that necessitates being out in the sun. When it comes to the beach and the pool and being outdoors, this sunscreen delivers serious protection. Raw Elements simply makes the best sunscreen. This is a physical, not chemical, sunblock. I swear by this stuff. It’s organic, cruelty-free, non GMO certified, has non nano particles (so nothing penetrates the skin), offers UVA and UVB protection, and not one member of my family has gotten a sunburn yet despite plenty of time spent in the pool (it’s super water resistant) and playing tennis. (I used this last year as well with the same results.) You can find it lots of places online, including amazon.com—where a 3-ounce tube (which lasts about a month or maybe a little less for my entire family) costs $13.74. Another favorite natural skin-care website where I buy this is carenonline (they often have 20% off sales, which brings the prices down). Update: I got a call from the Raw Elements people after my post; they suggested that my son try their Raw Elements Eco Tint Stick 30+ tinted sunscreen. I purchased it (see note below) and my son loves this! I have to say I love it too…it’s not white but matches up pretty well to skin tone (it still needs to be rubbed in, though). It’s perfect for the face. Another Raw Elements fave that I just tried: Eco Formula 30+ Lotion in a recyclable tin (plastic-free packaging); it’s beyond easy to apply and you can use up every last bit. I’m buying some more to finish out the summer (this—and the Eco Tint Stick 30+—will be perfect sunscreens for skiing too!). Midwives provide care while you’re pregnant, but they can also provide primary care to women, annual gynecological exams, family planning, and even menopausal care. I just booked an appointment with my midwife. No, I’m not having a baby — or planning on becoming pregnant — but this midwife (Tina Alessi, CNM, in Morristown, New Jersey) provides many of the same services as an OB/GYN. In fact, she’s part of an established OB/GYN practice. She worked with me throughout my last pregnancy — and I’ve been with her ever since. Myth: You only need the services of a nurse-midwife during pregnancy. Fact: Certified nurse midwives like mine provide primary health care services to women and families in all stages of life, from the teenage years through menopause. These services include not only caring for women during pregnancy but also general health check-ups; gynecologic care; and prescribing medications, including all forms of pain control medications and birth control. Nurse-midwives can also help care for newborns in the first month of life. Certified Nurse Midwives can attend births in hospitals—or be with you at home for a home birth. Myth: Nurse-midwives can’t attend births in hospitals. Fact: My midwife has hospital privileges—and in fact, she’s well known (and respected) around the hospital and the community in general. Certified Nurse-Midwives (CNM) practice in many settings, including hospitals, medical offices, freestanding birth centers, clinics, and private homes (I had always wanted to try a water birth…and while midwives will help you do it, this wasn’t in the cards for me). In fact, many of them practice in different settings to help ensure women have access to the range of services they need. By working collaboratively with OB/GYNs, Certified Nurse Midwives can ensure that a specialist is available if a high-risk condition should arise (e.g. an emergency C-section, like I had with my 7-year-old daughter). Likewise, many OB/GYN practices work with Certified Nurse Midwives who specialize in care for women through normal, healthy life events. Midwives can, and do, prescribe medications to their patients—but they always talk you through non-medication alternatives as well. Myth: You can’t use pain medicine if you use a nurse-midwife for your birth. What is true: Births overseen by Certified Nurse Midwives usually have less intervention – such as continuous electronic fetal monitoring, epidurals, and episiotomies. But, when a medical procedure is necessary, a Certified Nurse Midwife works to ensure that the woman gets what she needs—so it’s the best of all worlds. Myth: Insurance does not cover midwifery services. Fact: I’ve got the absolute worst insurance company in the country (United Healthcare), and it still covers my midwife. In fact, thirty-three states require private insurance companies to pay for services provided by Certified Nurse Midwives, and Medicaid coverage for Certified Nurse Midwives is actually required in all states. Certified Nurse Midwives are trained as nurses first —and have a masters or doctoral degree. Myth: Midwives don’t need a lot of education. Fact: All nurse-midwives in the United States begin their education as a registered nurse—and mine started off exactly that way. The fact is: There are many different types of midwives, each holding different certifications based on their education and/or experience. Certified Nurse Midwives have a master’s and/or doctoral degree—and are licensed in all 50 states. This licensing gives them the authority to perform exams, order lab tests, attend births, and prescribe medications. So there you have it: some basic facts about a pretty old profession. A last bit of advice: I had experience with a midwife (not a Certified Nurse Midwife), who was offering a breast imaging technique called Thermography that I wanted to try (more on this in an upcoming blog!). I would never recommend anyone to her: her office was at the back of her home (which I had to walk through a weedy garden to get to) and I didn’t like her manner or the atmosphere; I couldn’t wait to get out of there—and would never recommend anyone to her. So not all midwives are created equal; that’s for sure! Just as with a doctor, do your research and trust your gut. And make sure they’re a Certified Nurse Midwife! Biking is one of the best (and most fun) ways to get fit outdoors. You can burn 300+ calories an hour. I love cycling — there’s just something about being out in nature, with just you and your bike! So happy to see that so many cities are featured here, but even if your city isn’t…you can still get out and ride: all you need is a bike and a helmet (a must). Look for local charity rides or races if you want to take your cycling up a notch; I like active.com to find rides and races, though any local bike store will have info on local rides, too. 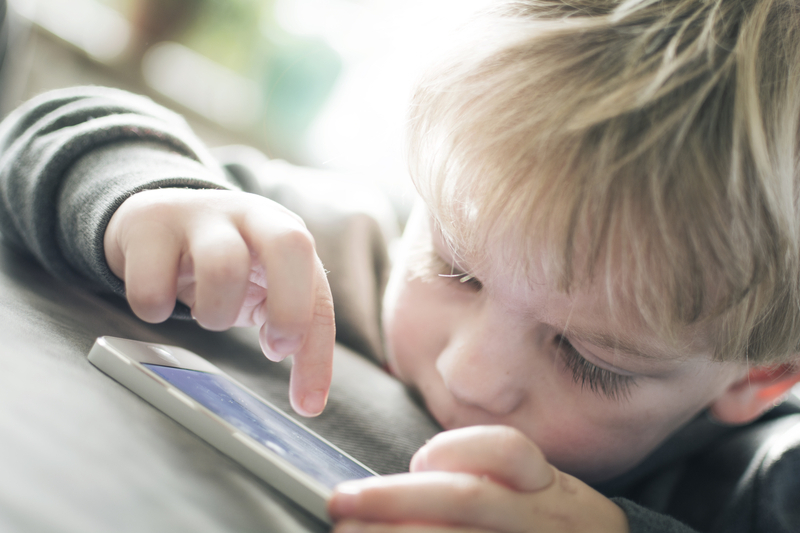 If your child is using apps, shut off the wifi before giving your Smartphone to him. This helps reduce the amount of radiation he’s exposed to. Proof about something I’ve always believed: a new study, published in JAMA Pediatrics, found children get more sleep, do better in school, behave better, and see other health benefits when parents limit content and the amount of time their children spend on the computer or in front of the TV. But here’s the clincher: the effect isn’t always immediate, says Douglas Gentile, lead author and an associate professor of psychology at Iowa State. It could, says Gentile, have an effect on your kids seven months later! Does this mean kids shouldn’t have any “screen time” as we call it in my house? No, as that would be almost impossible in this day and age of iPhones and iPads. But creating limits so your kids aren’t spending hours upon hours of time on the computer or in front of the TV is what’s key. The study also found that children got more sleep if parents limited screen time, which also resulted in lower risk of obesity. Parents limiting exposure to violent media resulted in increased prosocial behavior and lowered aggressive behavior seven months later. What we do at our house: no more than 30 minutes a day during the school week (though this gets quickly taken away if homework isn’t done, you don’t get ready for school on time, and you fight with your brother or sister)—and then an hour each day on weekends. (Each child has a physical timer that gets set so they know when to cut screen time off.) It seems to work, but I do notice when it creeps up (by lack of vigilance on my part), behavior does get worse: there’s crankiness, more fighting, and plenty more “There’s nothing to do!” comments. There’s lots of great info in this graphic, but I wanted to point out a couple of things that I don’t agree with. Celiac disease isn’t “exceedingly rare” as this graphic notes. It is becoming more and more common. Also, the amount of gluten in bread products today is way more than our body can tolerate. Gluten adds volume to wheat products and our bread products have more gluten than ever before. Many bodies can’t handle it in the doses that are common today. Ancient wheat varieties (einkorn, Khorasan wheat, emmer, spelt) are just what they say they are: they’re the original wheat varieties before gluten was pumped up in them. They still have gluten but have much less than modern varieties and might be a good option for you—if you feel like modern wheat is causing you digestive distress or even health problems. But you have to do what’s right for your body. If your doctor says that gluten isn’t a problem for you but you believe it is, cut it out for two to four weeks and see how you feel. If you feel better, then follow your body’s cues.